There can be little worse than the discomfort and pain of chronic sinusitis. 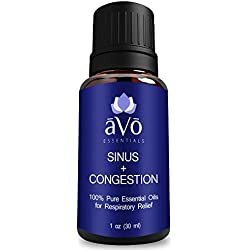 Luckily for us we can avoid chemicals and pharmaceuticals as there are simple and safe tips and techniques that naturally cure Sinus Infection. 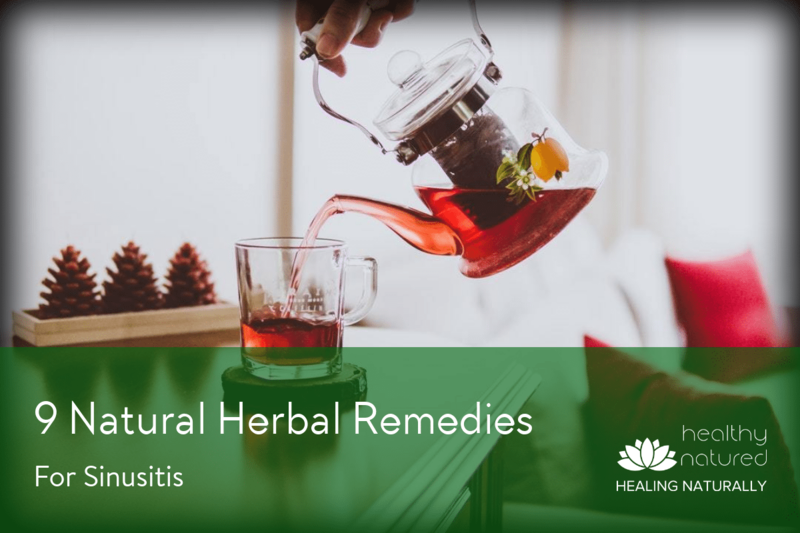 The following post 9 Natural Herbal Remedies – Sinusitis offers several well known and easy to use remedies which will alleviate sinus problems quickly. Our noses are not just for sensory use (smelling) they are also designed to act as high-efficiency air filters. When at optimal health our nose is capable of removing 80 percent of particles, substances and pollutants in the air. It does this by relying on tiny, hair-like fibers known as cilia. 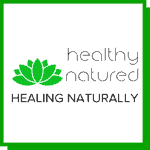 The cilia are equipped with mucous which contains substances that counteract the toxins and any other foreign and potentially harmful elements in the air. Our sinuses are small, air-filled cavities which link our nose and throat. When healthy they stop mucus from reaching our lungs, which could cause infection. Sinuses are found above the eyes, in the upper nose, inside the cheekbones and alongside and behind the bridge of our nose. In normal health our mucous-covered cilia catch these foreign invaders before they find access and enter your lungs. 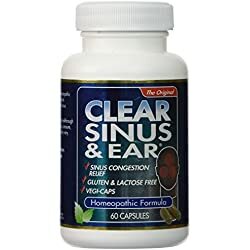 However if inflamed our sinuses weaken the effectiveness of the cilia which in turn prevents them from removing invaders leaving you exposed to risk with every breath. When the linings of our sinuses become inflamed then we can develop sinusitis. Acute – This is often bought on by the common cold, bacteria or viruses. Chronic – Chronic sinusitis usually begins as acute sinusitis and is triggered by infection. It then lingers and sinuses remain inflamed due to other causes such as toxins and pollutants in the air, smoking or allergies…even stress. 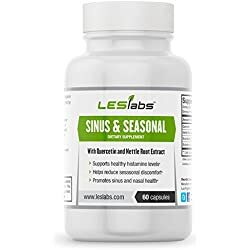 Left untreated acute sinusitis usually would clear in under a month (often quicker and when the initial infection clears) however if the symptoms are still present 12 weeks later the diagnosis would change to chronic. Sinus Infection symptoms often includes facial pain and tenderness in the sinus areas. In severe cases there may also be noticeable swelling. Other symptoms can include fever, running or severely clogged nose, headaches, breathing difficulties, bad-breath, cough and fatigue. 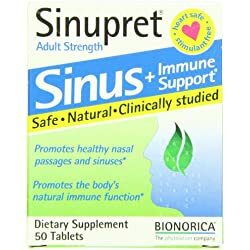 Below are some very simple, highly effective and proven treatments for the natural cure of sinus infection. It may sound overly simple but staying hydrated is possible the best natural cure for sinus infection. When we talk about staying hydrated we mean water intake – not sugary drinks, not clear soups or broths, not tea and not coffee. The water will help your body to thin out the clogged and pollutant laden mucus allowing it to drain from your irritated sinuses. Caffeine, sugary drinks and alcohol must be avoided. They will dehydrate you further. Further dehydration will cause your mucus to thicken even further and cause even more clogging of your already inflamed and irritated sinuses. Create your own mucus dissolving brew. The use of spices such as cayenne pepper or horseradish can be made into natural herbal remedies to combat sinus infection. Step 1 Boil your kettle. Step 2 Add the apple cider vinegar to a small mug. Step 3 Stir in the honey and cayenne pepper. Step 4 Squeeze the lemon juice on top of the mixture. Step 6 While the boiling solution cools use the steam as a nasal inhalation. Step 7 Breath in the spicy steam. Step 8 Once the brew is cooled drink it all quickly. 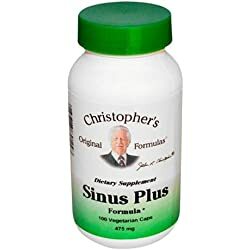 You will want to ensure that you include the following into your sinus treatment. 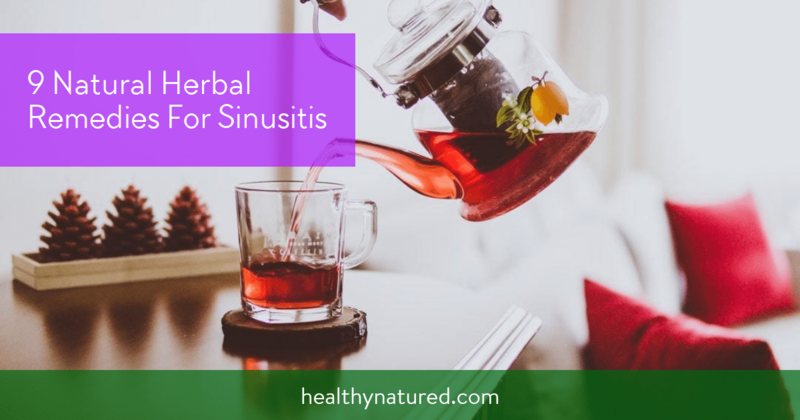 While not a natural cure (you need to use the natural herbal remedies sinusitis recipes alongside this) facial massage will help when the pressure and pain from inflamed sinuses cause discomfort. Facial massage takes less than 2 minutes and will give temporary relief and assist in clearing your blocked sinuses. Place the thumb and forefinger of either hand on the sides of the bridge of the nose. Squeeze the bridge of the nose for one second, and then release the pressure for one second. Repeat this process ten to fifteen times. This will open the sinuses and allow drainage. Massaging above and below the eyes will break up congestion as well. Using a steam bath to inhale steam infused with essential oils is a brilliant natural cure for sinus infection. 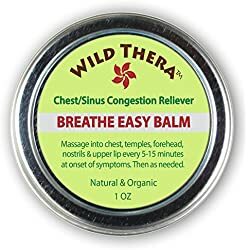 Essential oils have been used to aid health for centuries and are a wonderful natural decongestant. You are able to break up thick mucus by adding a few drops of Eucalyptus or Peppermint oil into a bowl of very hot water. Put your face down over the water and drape a towel over the back of your head. Make sure the towel covers your head and the bowl so that you are able to inhale the essential oil infused steam. This method also works if you add a few drops of either oil added to the water in a household humidifier. Some of the machines available today actually have a small tank included. An aromatherapy room humidifier is a brilliant asset for your home and health. For those who find they are prone to sinus infection I highly suggest you invest in a Neti Pot . These brilliant little devices make it simple to irrigate your nasal cavity and clear any thick mucus and trapped pollutants. Use the Neti pot once or twice a day. 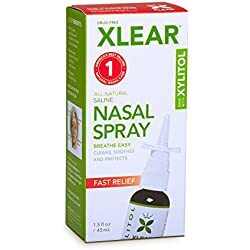 This can be done as a daily routine for your ongoing nasal care. Grapefruit seed extract is a natural antibiotic. It is made by grinding dried grapefruit seeds and pulp into a fine powder. 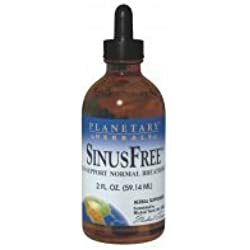 Used as a nasal spray Grapefruit Seed Extract will help clear out mucus and prevent other microbial contaminants taking hold and further weakening your inflamed sinus tissues. In one cup or mug or hot water add two or three tablespoons of raw unfiltered Apple Cider Vinegar . 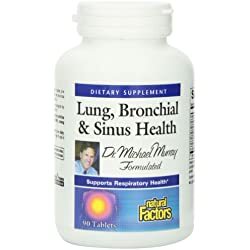 Take this as a drink three times a day and you will help thin out excessive or thickened mucus which will relieve congestion and sinus pressure pain. You can add honey or lemon juice for additional flavor. 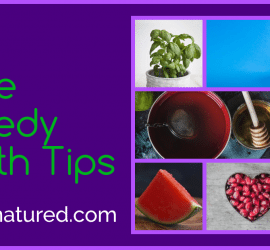 Probably the best known and most widely available is Vitamin C. This vitamin can be taken as chew-ables, in tablet form, as a liquid and as capsules. Vitamin C improves overall health and improves and strengthens the bodies immune system. 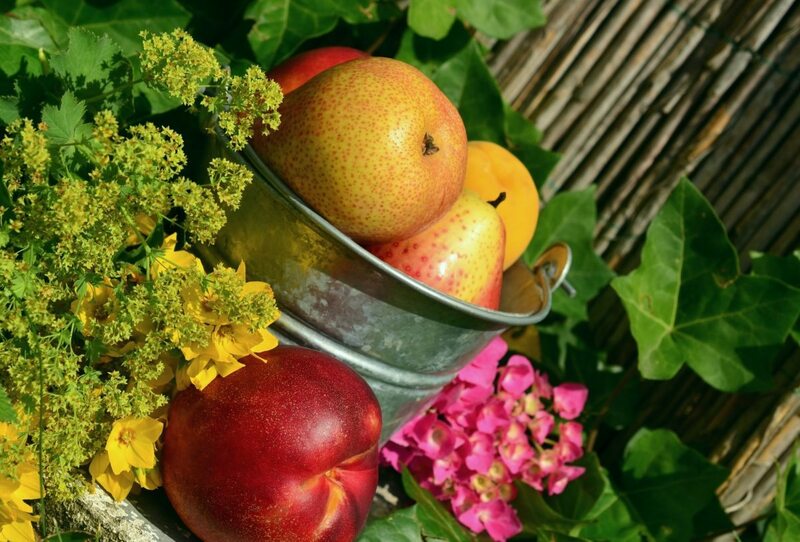 To help with full absorption use a Vitamin C supplement alongside Acerola . 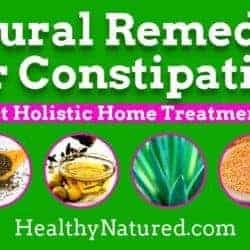 Fermented Cod Liver Oil is dense and highly rich in vitamins A and D, as well as Omega-3 fatty acids. The oil is extracted via a fermentation process meaning it does not damage or alter the nutrient levels. This makes it packed full of health giving properties. Oregano Oil contains natural antibiotic, anti-fungal and anti-viral properties making it one of the natural worlds super foods. 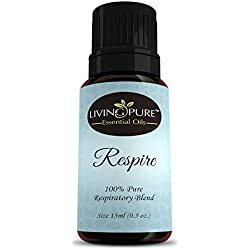 It can be taken internally in a drink, inhaled as a vapor or applied topically to the skin. Just adding a few drops of oregano oil to a drink each day will boost immunity and have huge positive impact upon your health. 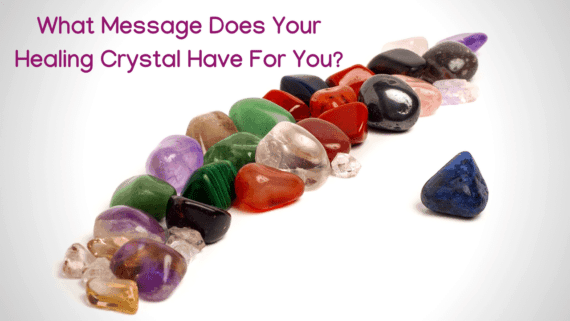 I hope this article has helped you and that you will use these methods. 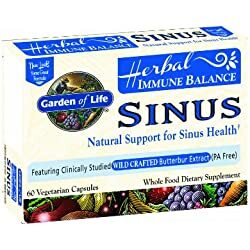 The natural herbal remedies sinusitis are proven and trusted methods for alleviating pain and congestion. If you would like to make comment or ask questions please do so in the comment thread below. Alternatively you can contact me directly by clicking here. well this is so the post for me! I have always been prone to sinusitis all my life. I tried so many medications as a kid and even had surgery as a young adult. Worse experience ever and it really did not help. I do go the natural route now. I have been using saline water forever. And for the past 8 months or so I have been doing a sinus rinse. Greatest invention ever! It certainly is awkward the first few times but it helps so much. I do it every day in the morning and I can really feel a difference throughout the rest of the day. I also have oregano oil at home but I keep forgetting to use it! I did give some to a friend last year. Not warning him of the intensity. He took quite a few drops and boy was that ever funny! Well for me that is! Very powerful herb for sure. Lol…Oregano is most certainly powerful and your friend (I hope still your friend) must have thought very pretty thoughts about you!!! Glad you have found the answer to your sinusitis. Saline is great and really healthy. 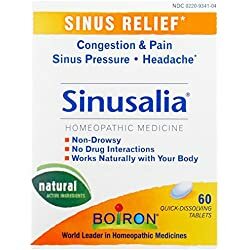 You really have posted a comprehensive list of sinus remedies. 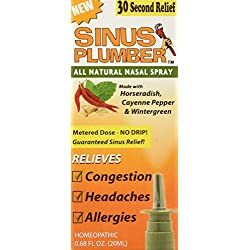 I have some friends who swear by the neti pot for sinus pressure and allergies, but I had never heard of a lot of the other remedies. 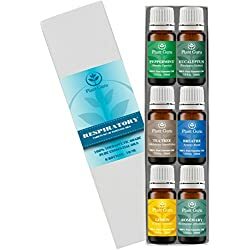 I have used both eucalyptus oil and peppermint oil in our humidifier at night and we like it, but I didn’t know it would be good for sinus problems. 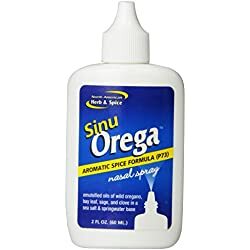 Another remedy I had no idea was good for sinus was apple cider vinegar. Apple cider vinegar sure seems to be helpful for so many things. Would you recommend having some apple cider vinegar every day, just for general health? Of all these sinus remedies which are your favorites, or which have you had the best results with? Adding Apple cider vinegar to daily diet will improve health overall as it is a mainstay ingredient for many holistic remedies as it is anti bacterial antifungal and antiviral. Hi Jason, Excellent article and great timing. My whole family has been suffering with sinusitis for quite sometime now. I really would prefer to use a natural approach where as my husband thinks that if it doesn’t come from the doctor, it won’t work. I believe a lot of people I personally know prefer a magic pill that will cure them instantly. LOL. I recently went to my doctor for a yearly checkup. My doctor noticed my symptoms and wanted to write me a script. I said no thanks! I have never tried a neti pot but I think I will give it a try. The one thing I do do when I feel the sinus pressure coming on is to stand in a hot shower and let the jet stream beat down on my sinuses. It feels so good! I also have a personal vaporizer that I use that has really helped as well. I have hear about drinking apple cider vinegar but I am not such I could stomach that, but hey, I am willing to try anything if it means staying away from the pharacitals. I signed up for your newsletter so I will be looking forward to getting them. Thank you. Hello Jason, thanks for comprehensive article regarding treatment of sinusitis. Maybe I need to use word cure, not treat, because medical people do not recognize natural remedies. Your all mentioned options are great, because with them we can help our bodies to get back on track without side effects. What do you think about garlic? I know that this relative of onion, clive, leek and shallot can make miracles for us. Sometimes when I get cold and my nose does not function properly, I eat couple cloves. I feel that it penetrates all my passages where air circulates. Most of all time, all problems are gone. Thanks for spreading message about helpful and natural remedies for sinusitis. Thanks for your comments. I most certainly would add garlic to the diet as it is a superfood and definitely improve health. You can also add crushed garlic to a facial steam bath which will help clear the sinus but be careful it is highly potent but works a treat.